Wingspan 5.4 to 6.2 mm. 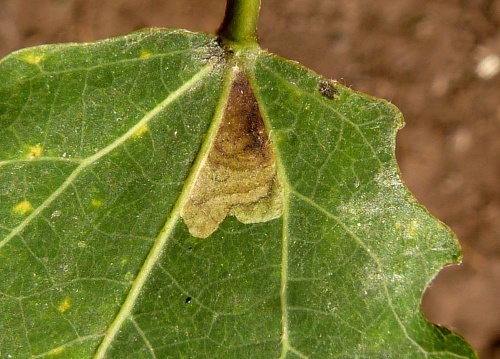 Adults difficult to distinguish from other Stigmella species, and more frequently recorded in the larval stage where it creates a leaf mine on the leaves of Aspen (Populus tremula). Where the larval foodplant Aspen occurs. 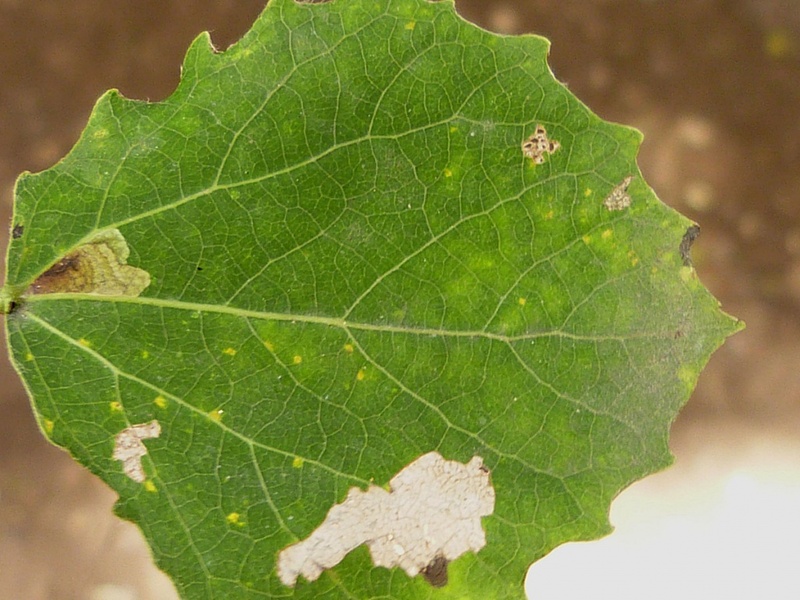 The larval mine may be encountered when Aspen is in leaf. Larva mines leaves of Aspen, over-wintering as a pupa. Local in wooded areas containing Aspen, mainly in south-eastern England and in the Scottish Highlands. In the Butterfly Conservation's Microlepidoptera Report 2011 this species was classified as local. It appears to be uncommon in Leicestershire and Rutland, where there are only 5 records to autumn 2017. L&R Moth Group status = D (rare or rarely recorded).